Le Castellet is a small medieval village of about 4 480 inhabitants. It is in the South of France. The main activities are making wine and tourism. Le Castellet circuit, (or Le circuit Paul Richard) is a F1 race track. The race track often organises races or F1 training sessions. You can even drive your car on their race track! They have a really good kart race track. 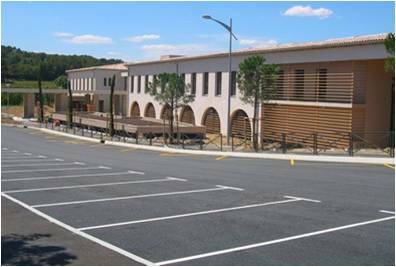 Our school is located in the Var in Southern France in a village called Le Castellet. It was constructed in 2006 and opened in 2007. It is surrounded by two small villages: la Cadiere and le Beausset. Our school isn’t as large as the other schools in the region. There are only 400 pupils. This small village in France is very interesting!